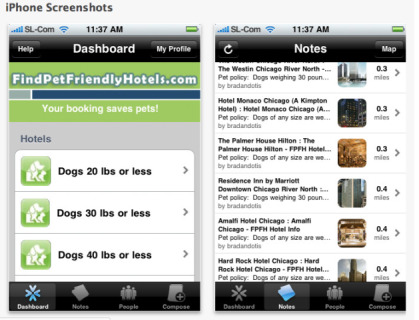 One of those tools is an app developed by Socialight available for free downloads on iTunes, appropriately named: "Find Pet Friendly Hotels." 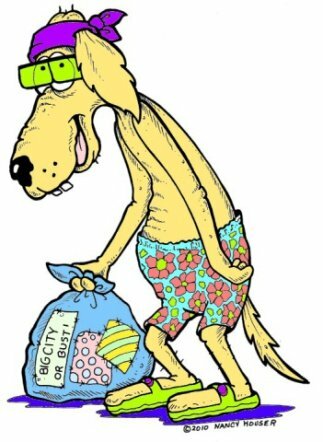 weight limits, pet fees, and dog parks. services available in certain destinations. As an added bonus, If you send your feedback to Socialight via their suggestions box at FindPetFriendlyHotels.com, you'll be added to their VIP list where you'll receive exclusive discounts and give-aways periodically over time. the major brand names are Best Western, Comfort Inn & Suites, Marriott, Econo Lodge; Embassy Suites; Hilton, Holiday Inn, La Quinta Inn & Suites, Motel 6 and Quality Inn & Suites.